Nearly 20 years after her friend’s death, director Amber Dawn uncovered a trove of her artwork, crafted into homemade zines: black and white drawings and collages that reflected the alienation and ennui of a damaged teen girl at the height of the grunge era. 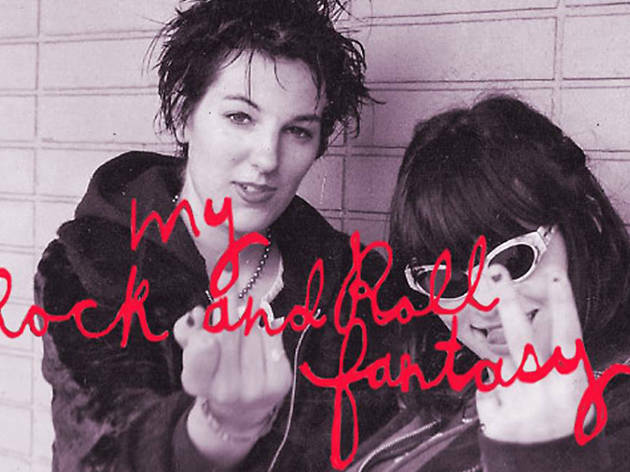 The feature length documentary My Rock N’ Roll Fantasy catalogs their friendship and Dawn’s grieving process through those casually archived creations. Film clips and a panel discussion with filmmakers Dawn and Vega Darling, Ivy Jeanne and Magnolia Sugar should give all those 90s punks who spent hours cutting, pasting and xeroxing together their own black and white treatises something to talk about.